It was reported yesterday that Khaleel Ahmed, Avesh Khan and Deepak Chahar will be travelling with the team purely as net bowlers. Even as India's World Cup squad was announced, there were a lot of eyebrows raised over the exclusion of Rishabh Pant and Ambati Rayudu. Dinesh Karthik and Vijay Shankar were included as the backup wicket-keeper and the batsman for the number 4 slot. 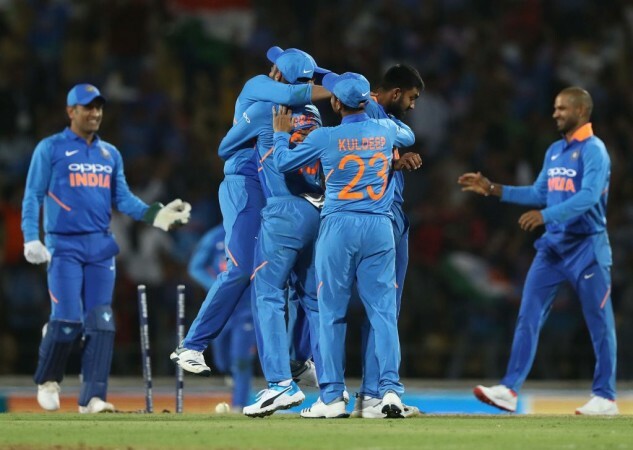 However, sources close to BCCI has said that they have identified Navdeep Saini, Rishabh Pant and Ambati Rayudu as the backup players for the World Cup, in case there are any injuries in the original squad. "Just like ICC Champions Trophy, we have three standbys. Rishabh Pant and Ambati Rayudu are the first and second standbys while Saini is the bowler in the list. So, if anyone gets injured, as per requirement, one of the three will be going," a senior BCCI official told PTI on Wednesday. Also, it was reported yesterday that Khaleel Ahmed, Avesh Khan and Deepak Chahar will be travelling with the team purely as net bowlers, but if the team management is impressed with them, they can be drafted into the side as regulars. "Khaleel, Avesh and Deepak are not designated stand bys. In the case of bowlers, that possibility is there but when it comes purely to batsmen, it will be either Rishabh or Rayudu." Also, another big development which has come to light is that the players will not undergo any yo-yo Test as the IPL will end on May 12 and there is only a gap of 10 days before the World Cup commences. "The players are already in the midst of a gruelling T20 season. Once IPL ends, they will need recovery time. It's not like that there is a gap between two series and you are having a test. If you are tired, the results may vary," the official further added. After the squad was announced, chief selector MSK Prasad said that the decision to go in with Dinesh Karthik over Rishabh Pant was made primarily because they believed that Karthik was a better keeper. Also, they went for Vijay Shankar since he was a 'three-dimensional' player who could contribute with the bat, ball, and in the field. "Definitely a case where we debated (at) length. We all (agreed) that either Rishabh Pant or Dinesh Karthik will come in only when [Dhoni] is injured. In an important game, wicket keeping is also important. That's the reason we went with Dinesh Karthik," Prasad said.